This is one of those MOCs that makes you go "wait..what?" 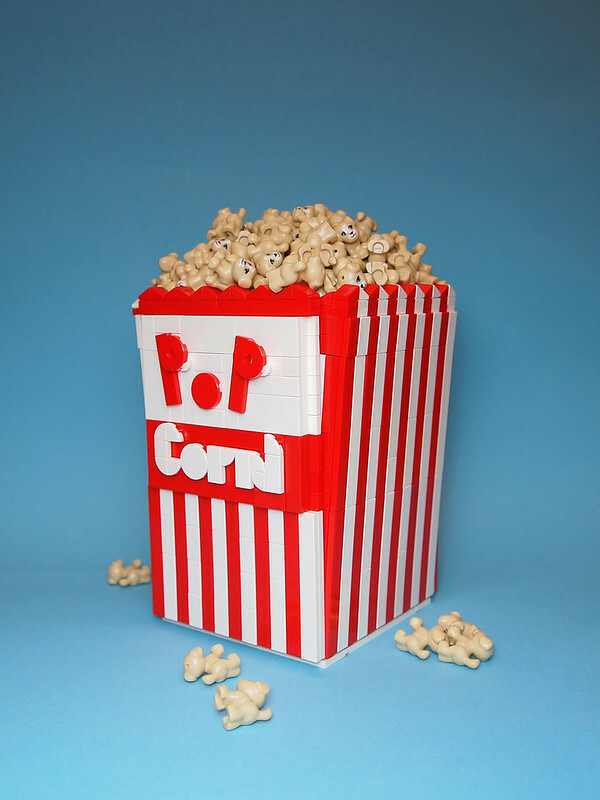 Sure at first glance it's just a classic popcorn box, loaded with yummy popcorn and just waiting for consumption during a movie. Then you notice that all those kernels are Friends puppies, and suddenly it's not so appetizing. What's next Dwalin Forkbeard, Red Vines made out of snakes?